A diminutive gentleman in a purple shirt took the stage, smiling shyly as the music came on. He opened his mouth and Chinese opera flowed out, drawing applause from the audience. 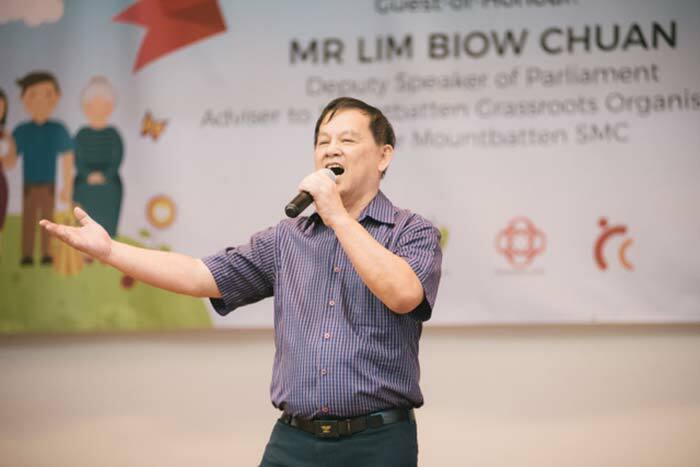 Mr Chew Kok, who hails from China, is a member of the House Of JOY choir, which takes the stage a short while later. The choir comprises a small group of senior citizens who practice weekly under a singing teacher from The Singing Loft. Their teacher and conductor for this event, Regina Kam, revealed that they are working towards recording their own album of songs. This showcase of talents took place over lunch at the House of JOY’s annual Parents’ Day celebrations, which happened on July 22 at the Mountbatten Community Club. 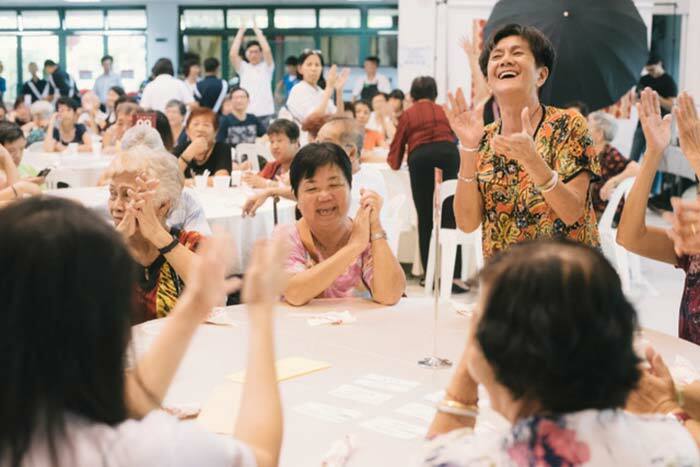 Parents’ Day is an occasion for the residents of Pine Close—many who are elderly, a number who live alone—to gather with their families for a meal, entertainment and a good old lucky draw. It’s a time for children and grandchildren to appreciate their parents and grandparents and to share some laughs together. For those without family, this is also an occasion to have fun with friends. About 120 tickets, priced nominally at $5, were sold for this event. The CHCSA team was supported by members of the Mountbatten Residents’ Committee as well as the Boys’ Brigade and City Harvest Church’s Dialect Service. CHC Dialect Service pastor Maria Tok served as a most entertaining host for the event, while members of the Dialect Service drama team put up a short but moving drama about overcoming differences to appreciate one’s parents and children. 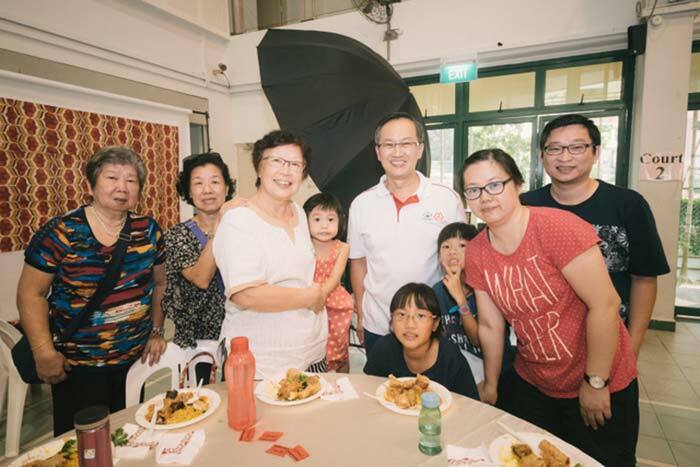 Member of Parliament for Mountbatten, Mr Lim Biow Chuan, was guest of honor, but seemed much more like a longtime friend to the residents present, chatting with familiar faces and obliging groups of ladies with photographs. Although the buffet was fairly standard, with staples like fried bee hoon and chicken curry, House of JOY decided on a special treat for the residents: a special order of char siew from Roast Paradise, which sees long queues every day at its stall at Old Airport Road Hawker Centre. The food and entertainment was well worth the $5 each person spent on their ticket, but the real highlight of the day was the lucky draw. 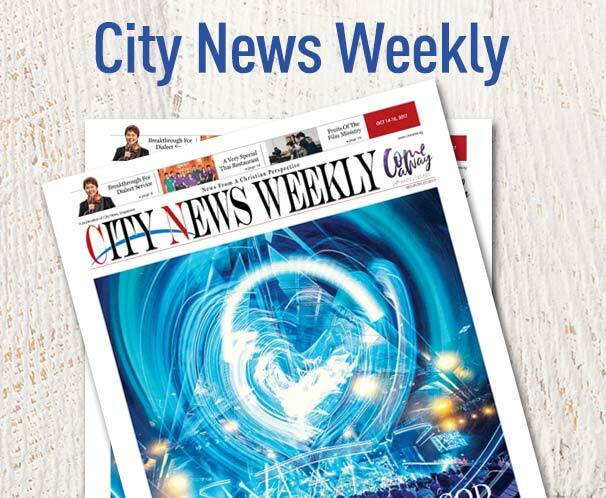 Household appliances from thermal food carriers to a cordless vacuum cleaner were up for grabs. Shouts of excitement grew as numbers were called out. Whole tables erupted in cheers and claps when one from the table won a prize. It was a wonderful sight to behold: grandchildren running up to the stage to claim the prize for their grandmother, waiting for her to make her way slowly to the stage, all beaming for the camera, showing off the prize. 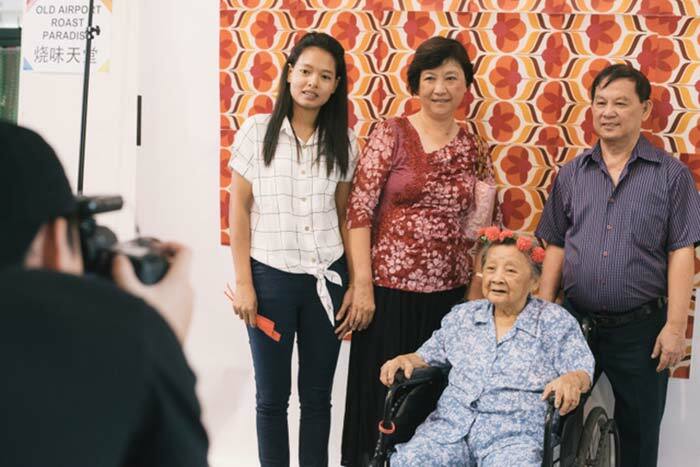 For 97-year-old Mdm Goh Geok Eng, the day was a joyful one. “I’m happy being around many friends,” she said in Mandarin, pointing to the thermal food carrier she won. 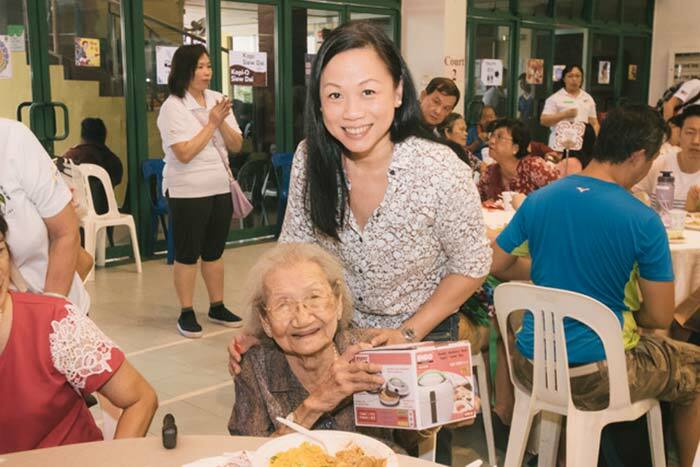 “It’s good they have many prizes to be won.” Mdm Goh is a regular at House of JOY who enjoys taking part in chair yoga and bingo sessions the center organizes.